Rimless eyewear appeals to men and women of all ages. That's because rimless spectacles do not change your appearance and typically appeal to people who like the minimalistic look or who even want the illusion that they are not really wearing spectacles. TV presenters, politicians and other people in the gaze of the public often have a tendency towards rimless glasses. As well as looking like they are almost not there, many rimless styles are so lightweight that they feel as if they are not there too. Rimless glasses can be much lighter in weight and appearance than rimmed or semi-rimmed spectacles. 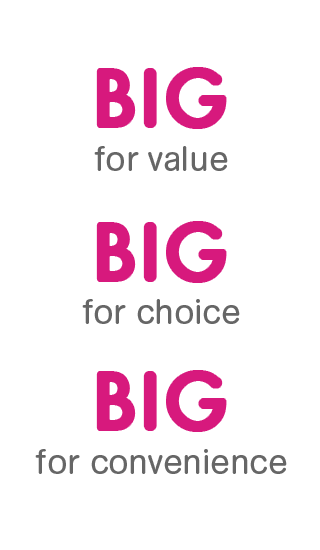 The Big Optician is a rimless specialist, selling hundreds of pairs of rimless glasses each year. We have thousands of delighted rimless wearers, some of whom who'd previously been told that their prescription was unsuitable for rimless styles. The BIG Optician has the widest selection of rimless in Newcastle from the top-of-the range customised Lindberg Strip Titanium, which retail from £399 (inclusive of lenses) to budget rimless glasses with lots of choice and prices for rimless frames in-between. With frames weighing as little as 1.9 grams, Lindberg eyewear is some of the most lightweight in the world.Lindberg bends the material titanium into incredibly light frames.This creates a beautiful, minimalistic design and a frame without screws, rivets and welds. Lindberg uses only a special type of titanium, which is also used for pacemakers and dental implantation.In addition to being hypoallergenic, this type of titanium is extremely lightweight, flexible and strong. The flexibility of the titanium makes it possible for staff at The Big Optician to adjust the frame exactly to your face.This way the frame will not pinch your nose or slide down. The nose pads and temple tips, which keep the lightweight frame in place, are made from medical grade silicone, a hypoallergenic and slide-proof material. 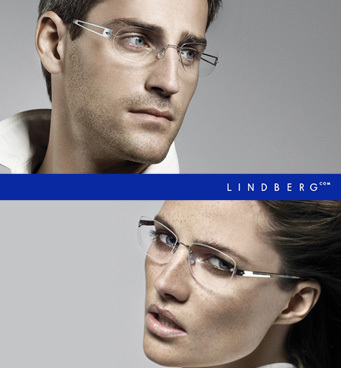 Lindberg™'s patented and prize-winning frame building system makes it possible to design a unique and personal frame. Staff at The Big Optician are all Lindberg specialist trained.We carry a large range of Lindberg Strip Titanium and once you have chosen the style, colour and lens shape we will take specific measurements to ensure the frame that is then hand-made for you in Denmark will be perfect in shape, colour and size. Lindberg has revolutionised the international market for eyewear, has been awarded with 45 of the most prestigious design prizes in the world and has made life easier and more beautiful for spectacle wearers world-wide.